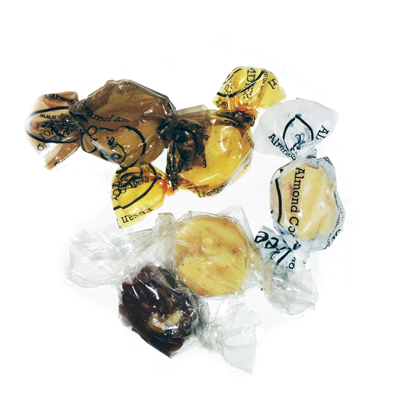 These honey sweetened taffies are afternoon favorites of school children and business men, alike. Each flavor is perfected to be an explosion of sensation. Includes 9 flavors! Ingredients: Honey, Butter (Pasteurized Cream & Salt), Cream, Pecans, Walnuts, Almonds, Coconut, Grade A Non-Fat Dry Milk, Carob Powder, Whey, Agar, Natural Flavors, Algin & Lecithin.